Since Halloween is coming up, we wanted to share this fun trivia. Did you know…? 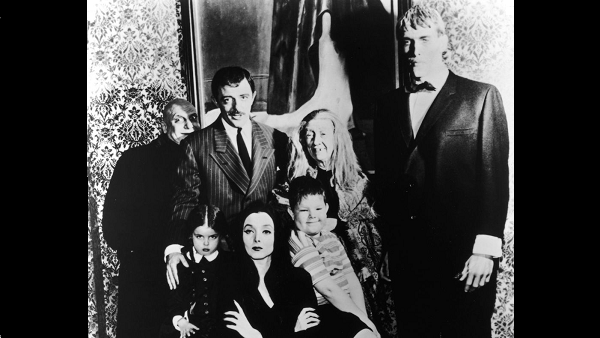 The first homeschool family on national television was the Addams Family! You’re probably aware that the Addams Family is not your typical American family. They take delight in things of which most normal people would be terrified – while thinking other people are weird! Nevertheless, they are an extremely loving close-knit family. In “The Addams Family Goes to School,” the original episode that aired on September 18, 1964, a truant officer arrives at the Addams family house to investigate the fact that Wednesday, 6, and Pugsley, 8, have never been to school. Mr. Addams is appalled at the idea of regimented schooling. Although still not convinced, Gomez gives in when Morticia thinks it may be good for the children to meet other kids their age. But Gomez and Morticia are horrified when Wednesday comes home traumatized. They learn that the students are reading Grimm’s Fairy Tales, stories in which the bad witches, giants, and dragons are killed. You can watch the Addams Family episode below. Enjoy!